Louisiana Fish Fry BBQ Shrimp Sauce Mix 1.5 oz. 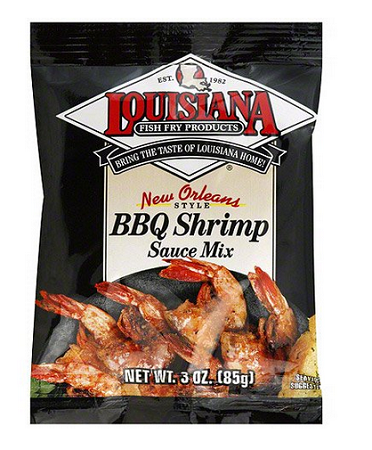 Home > New Orleans Food > Louisiana Fish Fry BBQ Shrimp Sauce Mix 1.5 oz. What began as a traditional New Orleans dish is now yours to prepare at home! So delicious, no one will believe you didn't spend hours in the kitchen. Serve with lots of crusty french bread for mopping up the sauce. This is a 1.5oz bag of seasoning that is for 2.5 pounds of shrimp.